The South of Fraser Inter-Arts Collective came together in the fall of 2013. Here is a record of the four main programming pieces during our Edge City Cultural Events Series, which ran 2013/14. SOFIA/c is grateful for financial support from the City of Surrey’s Cultural Grant Program for the Edge City Cultural Events program. SOFIA/c kicked off its first event with a poetry reading at the Newton Cultural Centre. On a dark and rainy night, we had a full house of friends, family, and community members. It was exciting and humbling to see so much warmth and support for our first event. 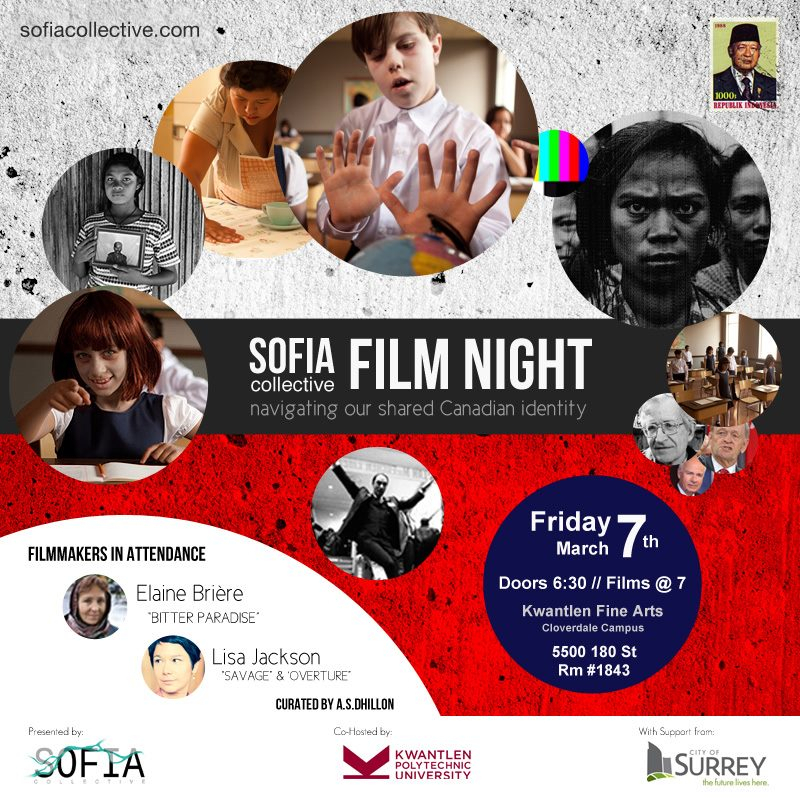 An evening of short film curated by Surrey-based artist A.S. Dhillon, featuring an artist talk by filmmaker Elaine Brière. To build on the ongoing ideas and discussions sparked throughout the SOFIA Collective’s Edge City Cultural Event Series, Inside/Out: Convergences of practice and community opens the floor for a discussion with artists on how they engage community in their personal practices as well as how community organizers work to create new and unexpected spaces for events, happenings, and art making.